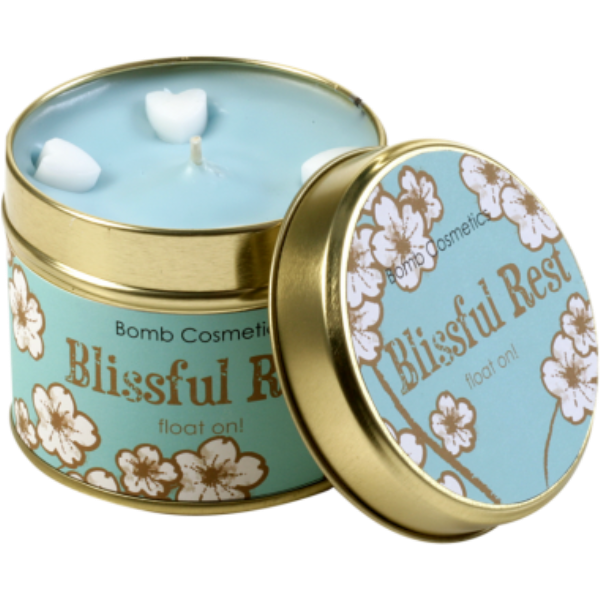 This bright blue candle with white hearts on the surface has a dynamic bergamot fragrance with the typical fresh citrus character of green fruit enhanced with a zesty splash of lemon, lime, grapefruit and mandarin. This bright blue candle with white hearts on the surface has a dynamic bergamot fragrance with the typical fresh citrus character of green fruit enhanced with a zesty splash of lemon, lime, grapefruit and mandarin. The candle has been blended with pure quality lavender and clary sage essential oils and burns for approximately 45 hours. When in use place the candle tin on a heat resistant surface. Ensure the candle is kept away from any flammable materials and do not move the candle while alight or while the wax is molten. Keep out of reach of children and pets. Do not leave a burning candle unattended. This candle is suitable for vegans.